The planning for this trip began about a month before. We had a companion pass on Delta and two free nights at any Hyatt that were expiring so we decided to take a long weekend to New York. It had been a while since either of us had been there, so it seemed like a good choice. We did the normal touristy stuff while in the city including shows, boat cruise, and the 9/11 Museum. We also took advantage of the some great dining options. 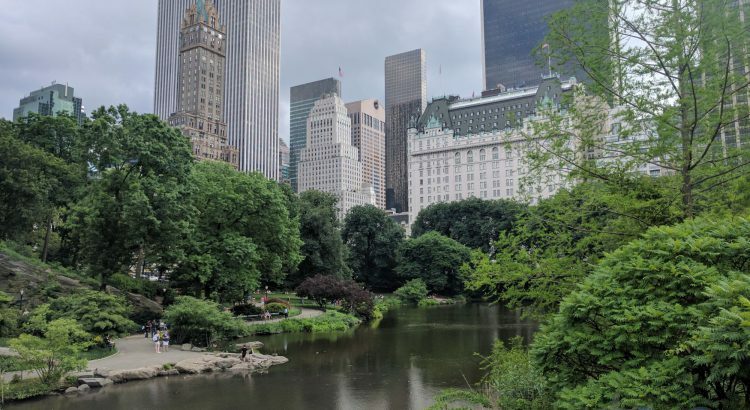 We stayed at the Park Hyatt New York. We would never have stayed here without using free nights as the starting room rate was $875 per night while we were there. Just another example of the power of credit card sign ups. We had two things we really wanted to do during our time in New York City. First, go to a show each night. We both really enjoy going to musicals and want to make the most of all the Broadway shows available. We got really lucky and were able to win a ticket lottery for both Phantom of the Opera and Cats. Second, we wanted to run a race while we were there. We ran a fun 4 mile race through Central Park. This was a bit more than we like to spend for a weekend getaway. However, New York City is inherently expensive, and we did the best we could to keep costs down but still do everything we wanted to do. I will have a review of the Park Hyatt New York and our daily activities in future posts.